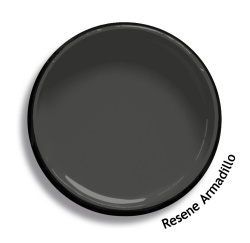 Colour notes: Resene Armadillo is a hard armourlike grey, shy and serious. Also available as a Resene CoolColour. A change in tone or product may be required for some colours to achieve a Resene CoolColour effect. View on The Range Whites & Neutrals (2014) or the Resene Whites & Neutrals palette W24.